This office originally started just off Dairy Ashford near Highway 59 in Sugar Land. It moved just down the street to the Atrium Building on Corporate Drive in Stafford in September, 2013. As a result of the kindness of our donors, this gave us a larger space offering three offices with a private waiting area and enough room to begin offering group therapy services. When we outgrew that space, we moved next door to the Churchill Building to a larger space in September, 2016 with five offices, an admin area, and a waiting area, with our full array of services offered in this location on Corporate Drive. 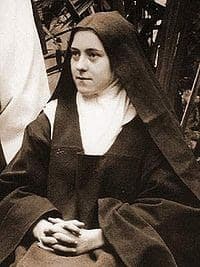 This office is named for Saint Thérèse of Lisieux since the parish community of St. Theresa in Sugar Land has been such a strong supporter and help in getting Gratia Plena off to a good start. We are especially thankful for Fr. Stephen Reynolds and the late Deacon Frank Cromer from St. Theresa’s. Because our faith is important to us, this office was blessed and dedicated into the Lord’s service by Fr. Lee Flores, pastor of Our Lady of Guadalupe Catholic Church in Rosenberg. 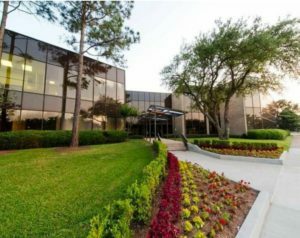 This office is intentionally located very near major freeways and on the edge of Sugar Land. It serves as our main office where billing and administration are managed for all offices. Multiple counselors, spiritual directors, and admin staff work in this office. Due to its strategic location between Stafford and Sugar Land, this office serves the Western Deanery parishes and the Fort Bend County areas of Richmond, Rosenberg, and Missouri City. We hope that you will come visit our Thérèse office and meet our staff! All are welcome!